Your branded App will be available in the Apple App Store and Google Play. Send push notifications to increase clients and reduce marketing expenses. Using Facebook has benefited a lot of restaurants. Yours should be one of them. Our Facebook Ordering allows you to turn those likes into orders, and setup is fast. We know you may need to change your menu on the fly. Make items active vs. inactive, Add new items and adjust details from any mobile device to reflect on your online ordering, instantly. Baking masterpieces take time. Accept future orders and require your customers to place orders with enough notice. Allow your customers to design their own orders. Give them a set of options to select from or even allow them to describe exactly what they want written on a cake. Most important aspect is to have the flexibility to change your business info including hours, holidays, menu and order settings to maintain complete control of your online ordering operations. Send out notifications when you’ve taken out a fresh batch of baguettes out of the oven. Even notify customers of the baker’s special. Receive Orders through the OrderEm App on your tablet/phone. You can also receive them by fax, email, text, a WiFi connected printer or even by an automated phone. To increase your number of deliveries and customers, offer quality delivery service. Our software allows you to take driver reviews to reduce calls and unhappy customers. DeliverEm app provide detailed order information to your drivers with turn by turn direction to your drivers. Drivers can inform delays with a touch of a button. Provide a better delivery experience to your customers. Give them insight on their driver’s whereabouts with real-time GPS to free up your phone lines. Record delivery metrics to help you insure quality. See when a driver picks up an order, when the order was delivered, how long it took and the distance between your business and customer. Allow drivers to receive, claim and fulfill orders. Drivers must first check-in to be notified of an order but can also be assigned orders manually by a restaurant admin. Determine and track how much drivers get paid per order. Generate totals by each trip, weekly, or monthly reports. Drivers can access their own totals as well. Have your own technology team. Integrate our technology directly within your app/website. 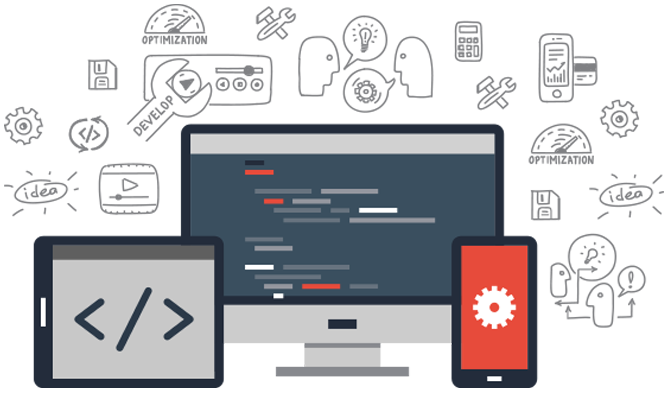 We provide REST APIs to help your developers focus on your business operations.